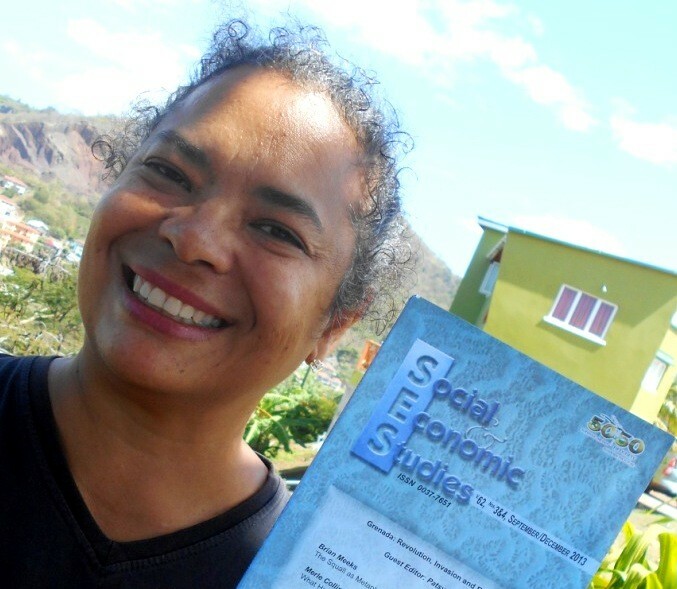 Local artist Suelin Low Chew Tung has had a paper published in a special issue of the Social and Economic Studies (SES), a publication from the Sir Arthur Lewis Institute of Social and Economic Studies (SALISES), at the University of the West Indies, Mona, Jamaica. The special SES issue is titled ‘Grenada: Revolution Invasion and Beyond’ and is guest edited by Patsy Lewis. It is dedicated to the late Richard Hart, the former Attorney General under the People’s Revolutionary Government. Suelin was invited to submit a paper for the special issue on Grenada and its revolution period by Annie Paul, head of publications at SALISES, University of the West Indies, Mona, and editor of the Social and Economic Studies (SES) publication. Her paper ‘Painting The Grenada Revolution’ is based on a 2011 Grenada Arts Council (GAC) exhibition and includes insights from some of the exhibiting artists who were living in Grenada at that time. “In October 2011, the Grenada Arts Council hosted the landmark art exhibition Grenada 1979-1983. Revolution: An Art Perspective — showcasing this aspect of Grenadian history through the eyes of artists. The idea for this show came from a 2010 email interview I did with British artist Sue Coe, about her 1984 work titled U.S. Military Successfully Bombs A Mental Hospital in Grenada, which is in the Modern Art collection of the Metropolitan Museum of Art, in New York,” Suelin said.